Smoothies are perfect for an on-the-go but complete breakfast or afternoon pick-me-up. In fact, studies have shown that meal-replacement shakes can help women to lose unwanted extra pounds, and they are a much more nutritious choice than coffee and a muffin – even an organic gluten free muffin which can be chock-full of as many as 600 calories but very little nutrition! And it’s much healthier than skipping meals which can wreak havoc on your adrenals – and as a result – your waistline and more! If you love chai tea or want to get more turmeric into your diet, this anti-inflammatory smoothie which also provides support for your body’s natural detoxification processes if going to Delight you with Chai-Licious! 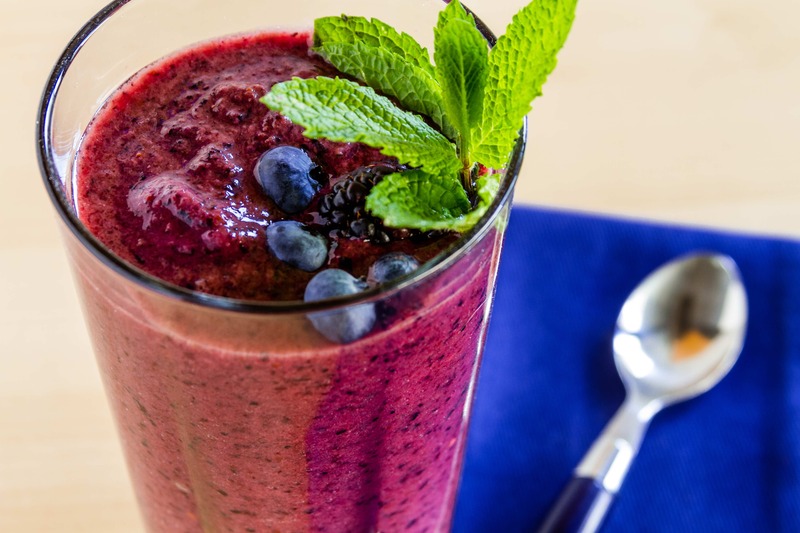 Want to know how to make your own amazing smoothies? Try Dr. Aviva’s Smoothie Genie for endless ideas! For over 120 more recipes, grab a copy of my book The Adrenal Thyroid Revolution & get my Replenish Cookbook as a free extra gift! What protein powder do you recommend? With so many out there is there one you suggest? Helloi Dr Romm, thank you for your information on smothies. I enjoy a variety of these delicious "meals" often for breakfast. Growing my own vegetables and herbs makes them very healthy. My favourite: 1 small cucumber, half scup of blueberries, a thick scice of raw beet, and a handful of fresh parsley, basil and savory. A couple of tbsp of ground seeds and nuts and plain organic yogurt are added to the finished smoothie. Hi Aviva- thanks for this! Do you have a protein powder you like that doesn't taste "fake" and that I can also feed my kids (my son is 2 and loves smoothies). Thanks! Hi Aviva, I purchased your book on audible, which was amazing to listen to but in hindsight it has been challenging to follow your advice without having a hardcopy to refer back to. I downloaded all of your resources on your website. However, I am very much interested in your a Replenish Cookbook. Is there any way I could have access to this? After listening to your book and taking the questionnaire I really believe that your recipes could help me get back to baseline. Thank you so much! I,too, wish I had gotten the hardback book. It’s hard to locate lists and resources as you click on hyperlinks since I never remember the page where I left off! I’m not sure I’ve read the entire book. The print outs of the meal plans are hard to read as well. I totally love what I’ve read and want to get start on this but am so afraid of my sugar cravings that I won’t be able to be faithful to the program. Any suggestions for slaying those cravings?